​Vienna (Wien) is the Austrian (Österreich) capital in central Europe. The baroque streetscapes and imperial palaces in Vienna offer an unique blend of traditions with stunning modern architecture. 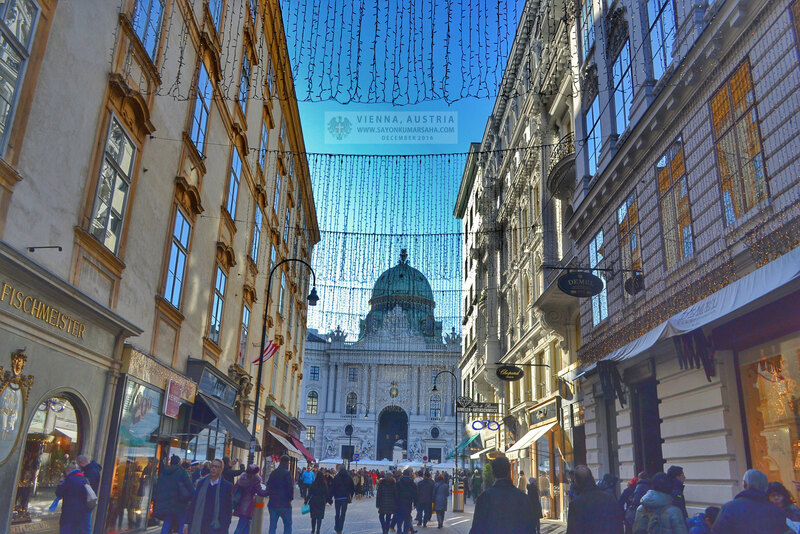 Vienna is rich with history in its innumerable winding cobbled lanes. It is at the cutting edge of design, fashion, architecture, contemporary art, cultural events, cozy wine taverns, drinking and dining. 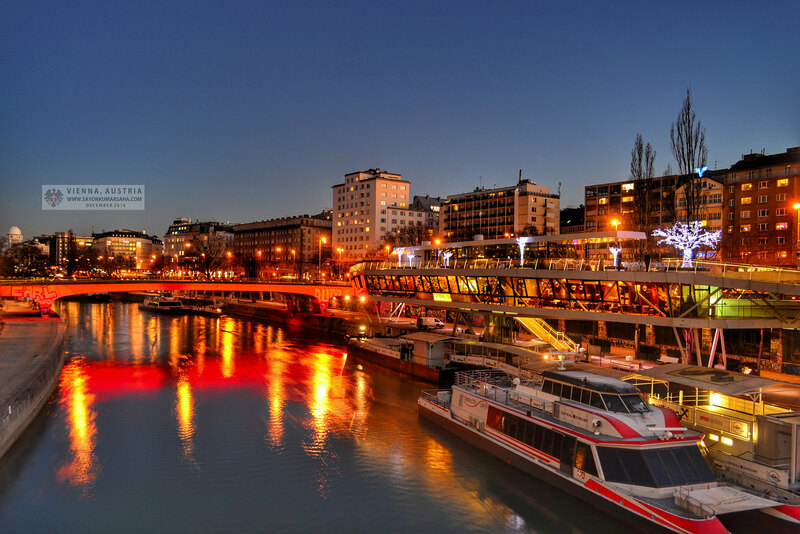 Before the splitting of the Austro-Hungarian Empire in World War I, Vienna was the largest German-speaking city. This “City of Music” is also known as the “The City of Dreams”, being home to the world’s first psycho-analyst, Freud. Kunsthistorisches Museum is one of the most famous art musuem on the earth. It is rich with the work of Europe’s finest painters, sculptors and artisans. This museum has the potential of time traveling someone for treasure-hunt from Classical Rome to Egypt and the Renaissance. 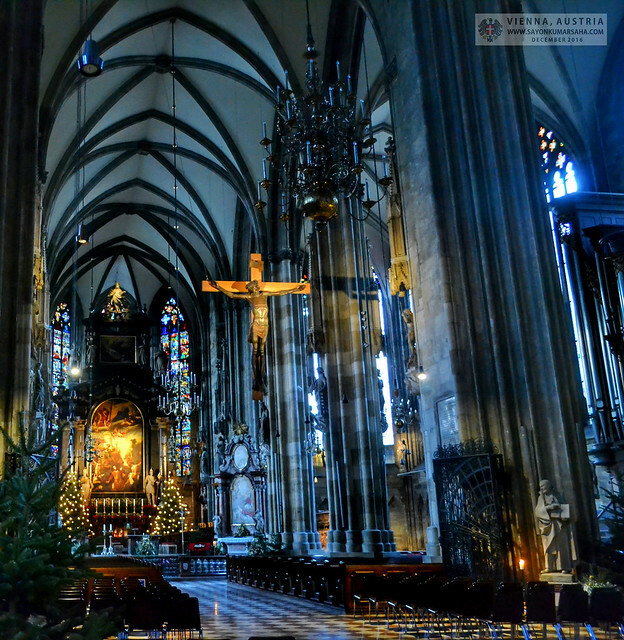 Stephansdom (St. Stephen’s Cathedral) is one of the most important religious building in Vienna since 12th century. It has witnessed several important events in Austrian history. 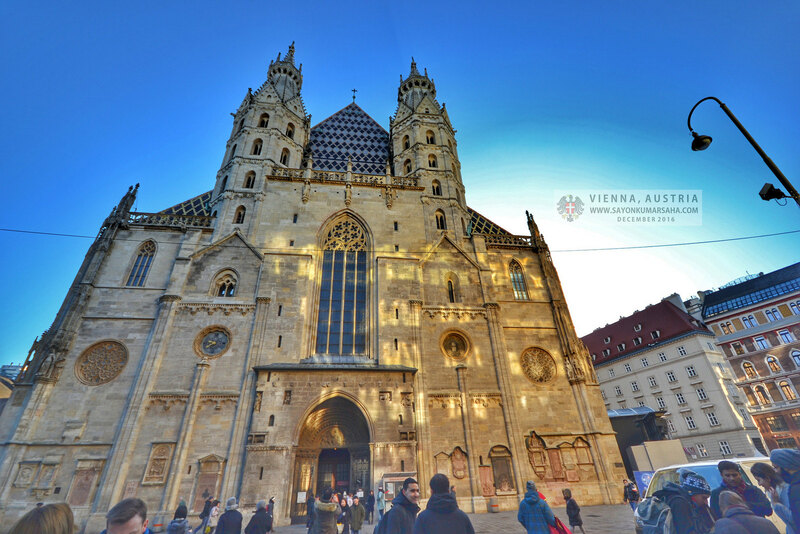 This dark Gothic style masterpiece is Vienna’s pride and joy. It is the second biggest free running bell of the world after the St. Peter’s bell in Colgne. The multi-coloured tile roof of St. Stephen’s Cathedral is one of the city’s most recognizable symbols. Stephansdom is the seat of the Archbishop of Vienna. Both Mozart and Beethoven have been associated with the cathedral. 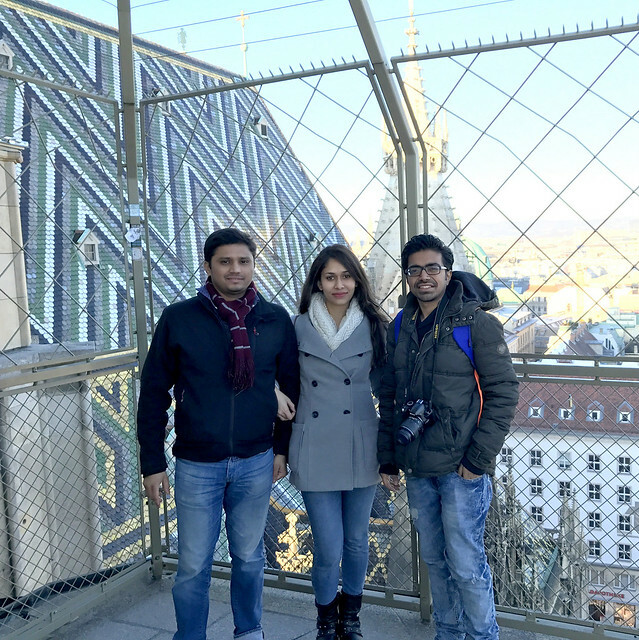 At the terrace of Stephansdom with Ankush and Nikita. The Kaerntnerstrasse is the most high-end luxury shopping street in the world with famous stores such as Oesterreichische Werkstaetten and Swarovski. 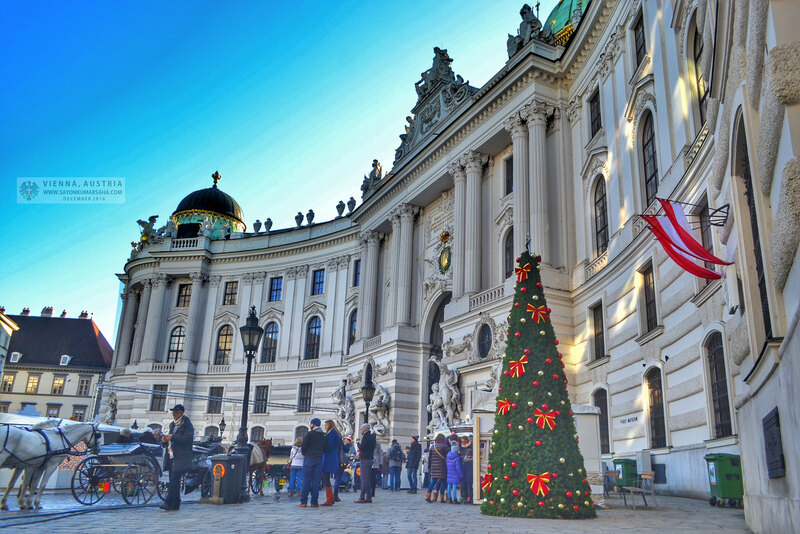 The Imperial Palace of Hofburg belongs to the state of Austria since 1918. Built in the 13th century during the power of Habsburg dynasty rulers, the palace kept expanding over the centuries. Today it is the official residence and workplace of the President of Austria. The city of Vienna famous for the Kaffeehäuser. Coffee house here isn’t just a hangout, it’s an institution. It is common to find newspapers on custom-made stands, tailcoated waiters, and chandeliers ceilings in a Viennese café with amazing bakery. The coffee shop culture here is indeed a spectacular experience. 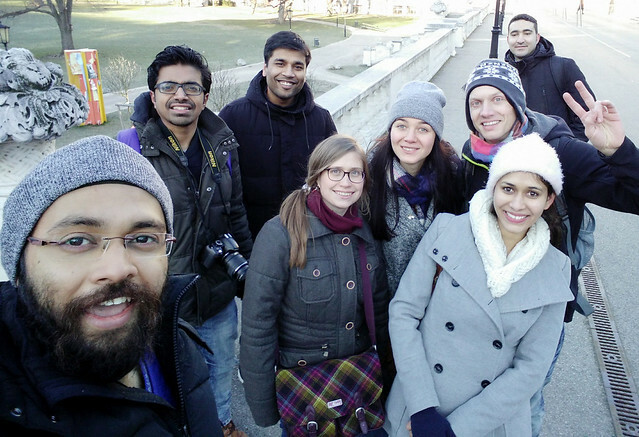 In the photograph: Monit, Me, Ankur, Dorothia, Julia, Nikita, Benny and Mohammad, exploring the streets of Vienna. We missed you Vinay and Akanksha! 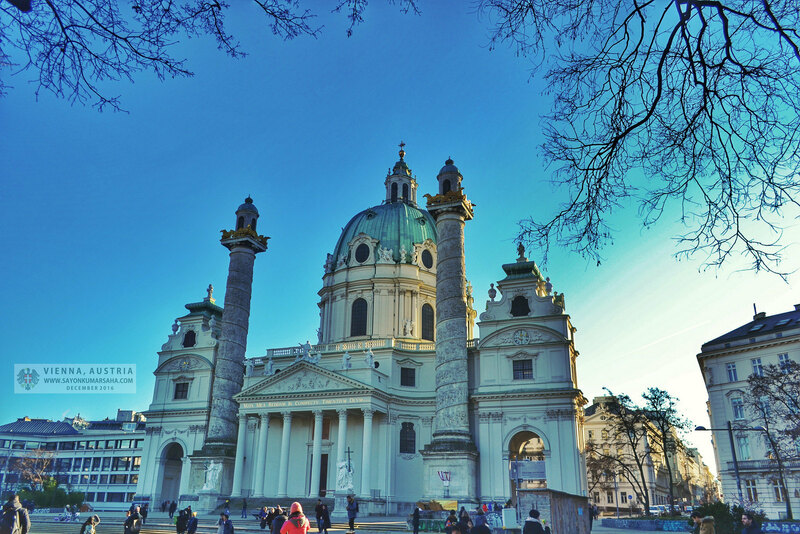 Karlskirche (St. Charles’s Church) is one of the most outstanding baroque churches dedicated to Saint Charles Borromeo of 16th century, designed to glorify the Habsburg empire. The church is cared for by a religious order, the Knights of the Cross with the Red Star. Covering almost 13,500 square meters, the Austrian Parlamentsgebäude (Parliament Building) was designed holistically to have every element harmonizing with each other. It was designed in strictly neo-classical style by Theophil Hansen a scholar of greek architecture. World War II caused heavy damage and a lot has been restored later. 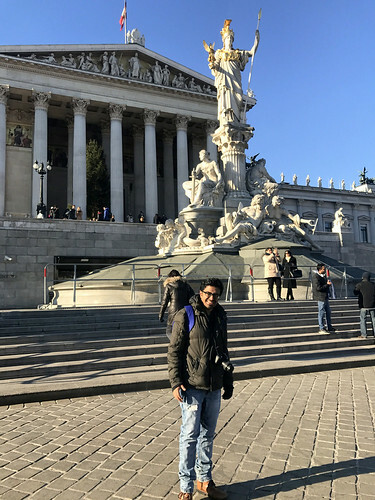 This building is the site of important state ceremonies such as swearing-in ceremony of the President of Austria and his state speech every year.The current parliament houses conduct their sessions here. Infact it was built during the Austro-Hungarian Empire in 18th century to house the two chambers of the Imperial Council. Theatre, opera, classical music and fine arts have long traditions in Vienna. The State Opera (Staatsoper) of Vienna is one of the top opera addresses in the world. It was opened with the celebration of the opera ‘Don Giovanni‘ of Mozart in 1869. Today it offer a large number of operas and ballet works. It is a place where Classical Concerts and Vienna Philharmonic Orchestra are performed. The unique song genre from Vienna is known as Wienerlied and there are approximately 60,000 – 70,000 Wienerlieder. Viennese music is famous for the works of legends such as Wolfgang Amadeus Mozart, Johann Strauss I, and Johann Strauss II. Vienna State Opera also transforms into the world’s most famous and beautiful ballroom during the Vienna Opera Ball season. Motto am Fluss lies at the Danube Canal like a racy speedboat. The Twin City Liner architectural could be easily confused with a boat. Motto am Fluss has a restaurant on the first floor with interiors of the Venetian style of the 1950s. It has the Motto Café in the second floor with terrace ambiance for wonderful breakfast, snacks and seductive desserts. 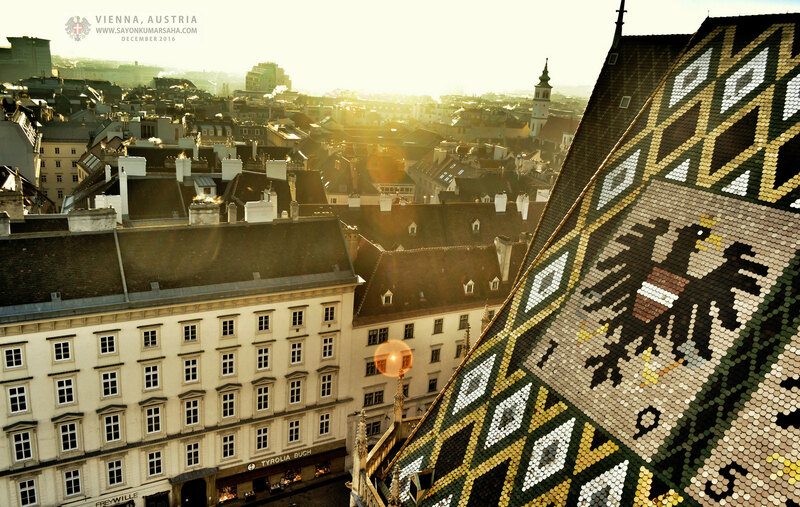 Not only Austria’s capital Vienna has established itself as a true epicenter of art and culture, but is also one of the most prosperous European city very high life quality.